Miracle Toyota has 2019 Toyota Highlander models for sale, so visit us in Haines City, Florida for an unforgettable test drive! Our sales department will listen to your auto search requirements carefully so that we can craft a new car shopping plan that fulfills your needs. We'll then introduce you to the 2019 Highlander trims that complement you, go over the helpful ToyotaCare plan that comes complimentary with your new purchase as well as the 10-year/250,000-limited warranty our dealership will upgrade you to! Step up to a vehicle that is available with a Bird's Eye View Camera, a Blind Spot Monitor, Rear Cross-Traffic Alert, and Driver Easy Speak, opt for a 2019 Toyota Highlander from our car dealership near Kissimmee, Florida! Many benefits come from shopping here at our Green Certified Toyota dealership near Lakeland, Florida, so if you're ready to upgrade your car, drop by today. We can appraise your current vehicle so you can determine if now is an appropriate time for you to upgrade, can review the financing packages that complement your needs while meeting your budget requirements and can introduce you to the Highlander trim models that suit your personality. 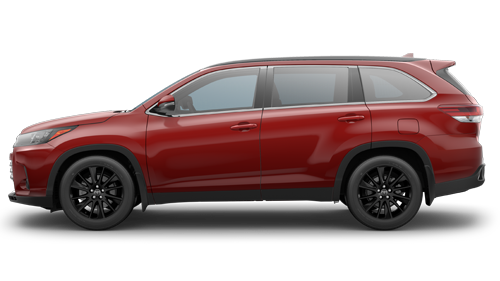 With Toyota Safety Sense™ P, you can enjoy a Highlander that features Lane Departure Alert with Steering Assist, Dynamic Radar Cruise Control, Automatic High Beams and a Pre-Collision System with Pedestrian Detection. Snag a 2019 Highlander today, head to our dealership in Haines City, Florida where Every Day Is A Miracle!